KATHMANDU, July 18: The government has spent 30 percent of the development budget in the final month of the last fiscal year. 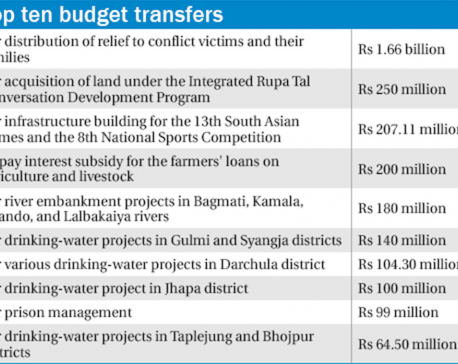 Till June, a total of Rs 163.4 billion or 49 percent meant for the development works was spent. A total of Rs 102 billion has been spent in the 12th month of the Fiscal Year 2017/18 or till Monday, raising the budget spending to Rs 267 billion. This is against the recommendation of parliamentary committees to cap such spending by a maximum of 20 percent in the last month of the fiscal year. Such spending was in the tune of Rs 27 billion, a record high, on Sunday alone. Three years ago, the parliament’s Public Accounts Committee had recommended capping spending at 20 percent in the last 30 days of the fiscal year to maintain financial discipline of the government. Lack of timely budget tabling in the parliament was blamed for the failure to spend on time, but things have not changed despite the fact that the budget was tabled on Jestha 15 (May 29) as stated in the constitution endorsed in 2015. Concentration of the payments toward the end of the fiscal year has long been criticized. Promises of reforms in such payments by making payments over the year have not been implemented. 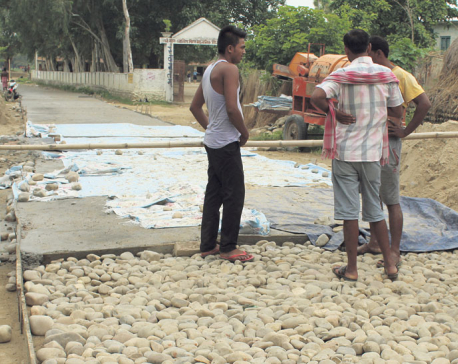 Such haphazard spending and works in a hurry have raised question on the quality of development works. Blacktopping the roads in the rainy season and other similar works in hurry are common sights across the country that are meant to use up the money. This has become possible in collusion among project managers, accountants, civil contractors and even auditors tasked to oversee the government spending. Finance Minister Yuba Raj Khatiwada had announced to bring sweeping reforms in financial discipline through the white paper issued in March. However, spending figures continue to concentrate toward the end of the fiscal year as in the past years. According to critics, the Ministry of Finance has focused only on revenue generation after Khatiwada assumed office, and not on spending the budget in a rationale way. The government has collected Rs 731 billion revenue in the last fiscal year. The collection target was Rs 730 billion.